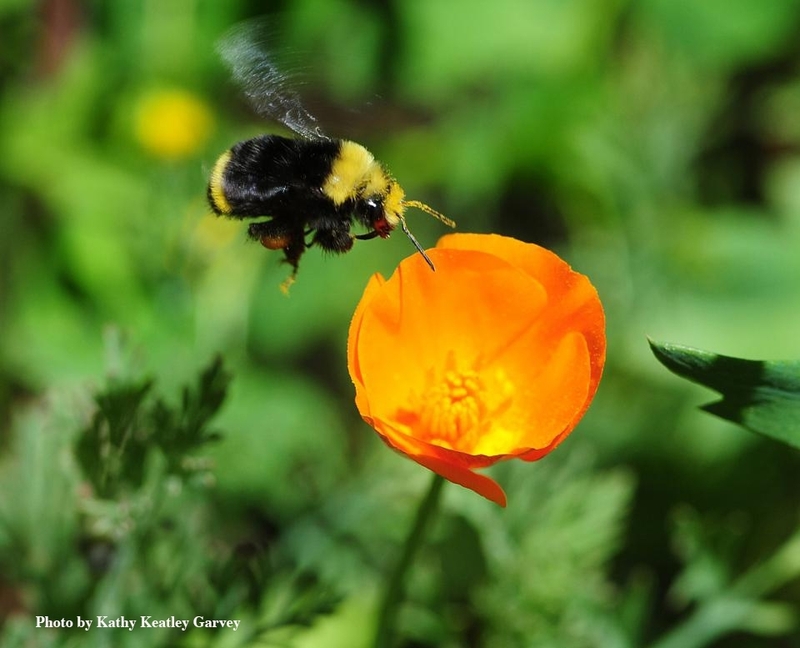 Ready for the International Pollinator Conference at UC Davis? 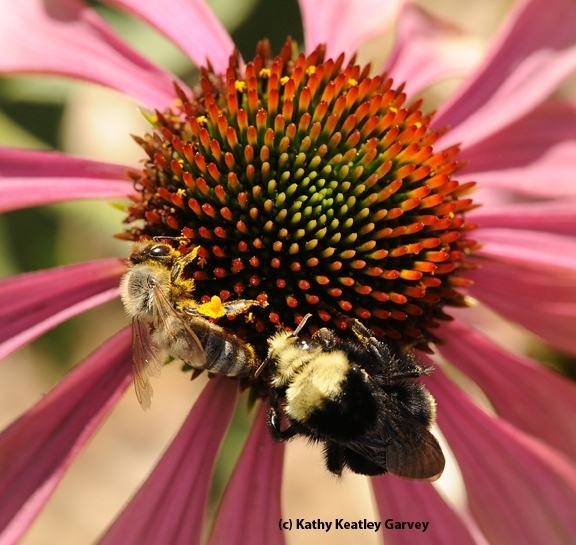 There's still plenty of time to register for the seventh annual International Pollinator Conference, set Wednesday, July 17 through Saturday, July 20 in the UC Davis Conference Center. The conference, themed “Multidimensional Solutions to Current and Future Threats to Pollinator Health,” will cover a wide range of topics in pollinator research: from genomics to ecology and their application to land use and management; to breeding of managed bees; and to monitoring of global pollinator populations. 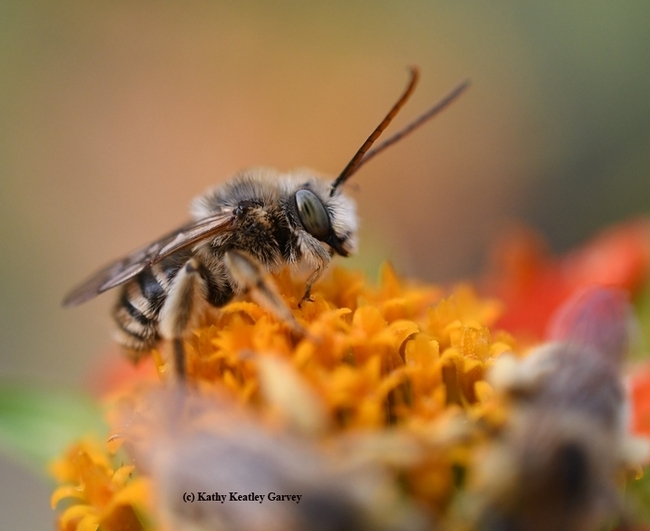 Topics discussed will include recent research advances in the biology and health of pollinators, and their policy implications. 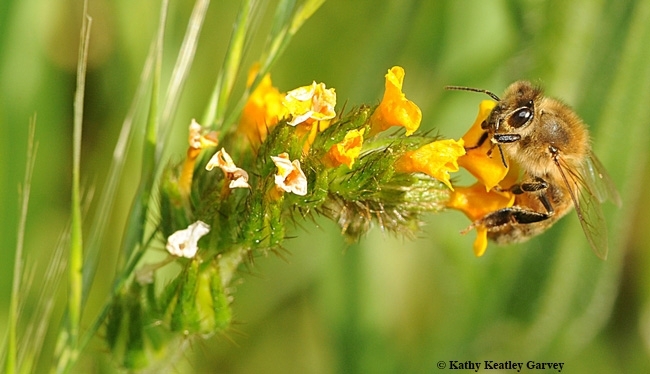 You can register online on the UC Davis Honey and Pollination Center site, related the two conference chairs pollination ecologist/professor Neal M. Williams and Extension apiculturist Elina Lastro Niño, both of the UC Davis Department of Entomology and Nematology. The UC Davis Honey and Pollination Center, directed by Amina Harris, is playing a major role in the international conference. 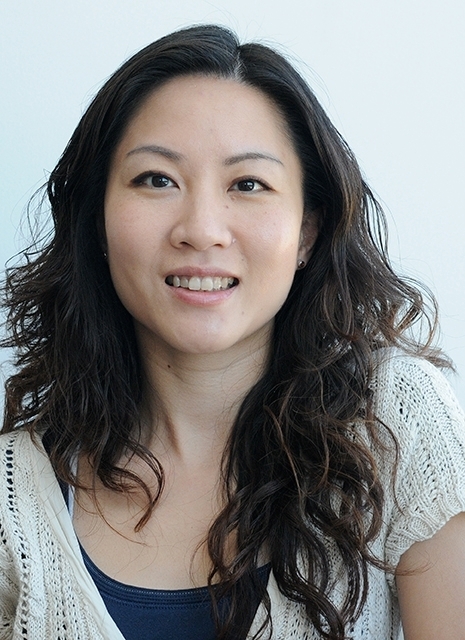 Events manager Elizabeth Luu is the conference coordinator. Early-bee registration: $350 (general) and $175 (student discount). After May 15, 2019, registration is $450 (general), $250 (student). 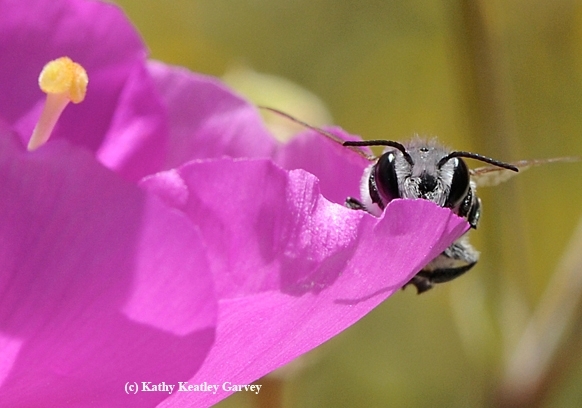 For more information, check the website, https://honey.ucdavis.edu/events/2019-international-pollinator-conference. 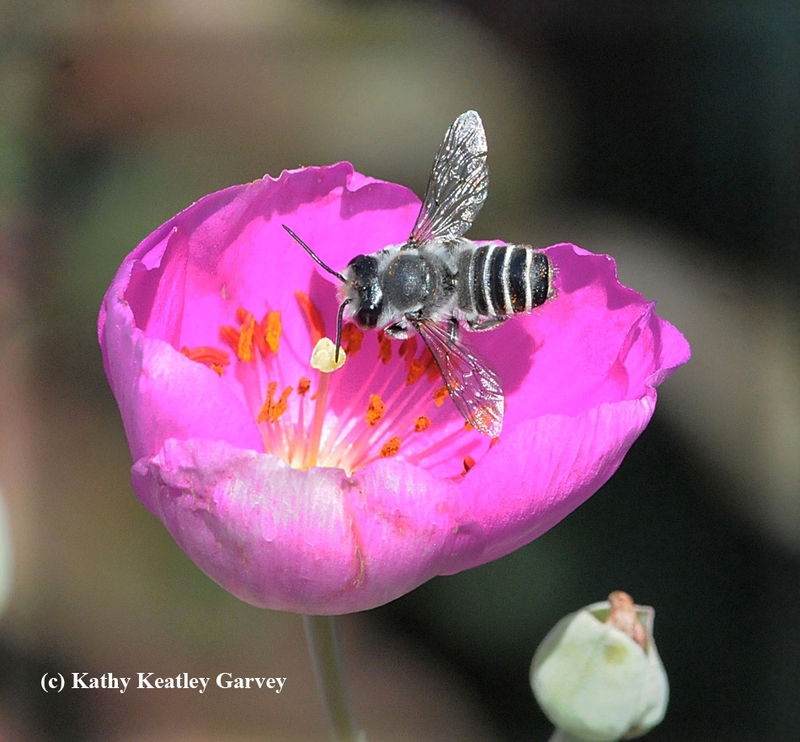 Registration for the seventh annual International Pollinator Conference, billed Wednesday, July 17 through Saturday, July 20 in the UC Davis Conference Center, is now underway. 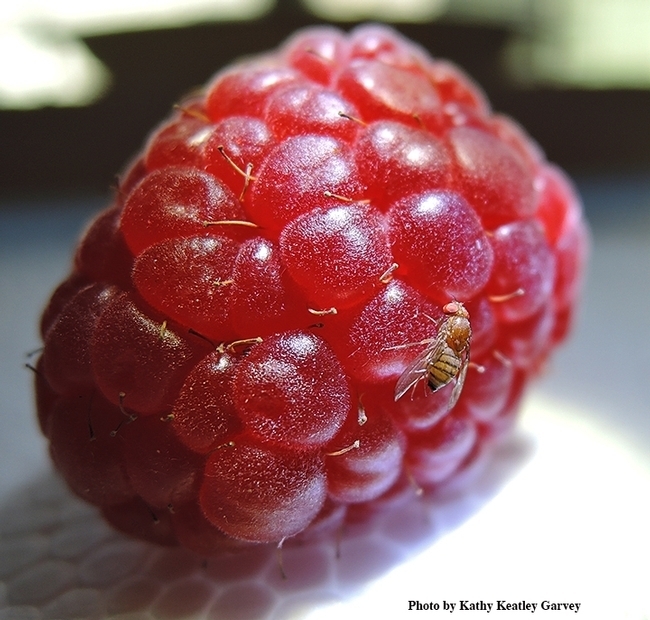 You can register online on the UC Davis Honey and Pollination Center site. At the conference, chaired by pollination ecologist/professor Neal M. Williams and Extension apiculturist Elina Lastro Niño, both of the UC Davis Department of Entomology and Nematology, you can learn of recent research advances in the biology and health of pollinators. 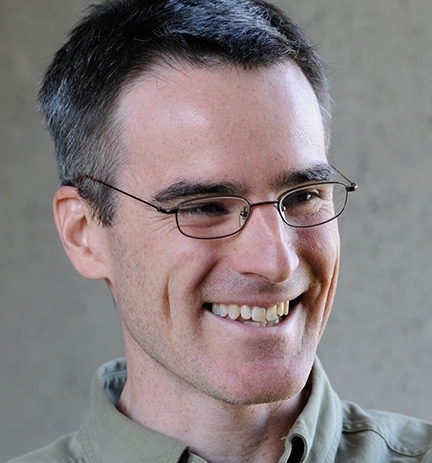 Grozinger studies health and social behavior in bees and is developing comprehensive approaches to improving pollinator health and reduce declines. 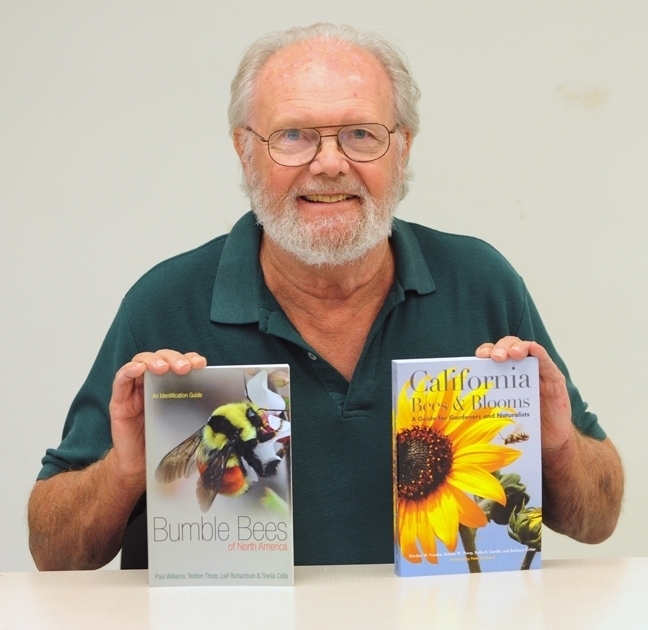 Lynn Dicks, an internationally respected scientist, studies bee ecology and conservation. 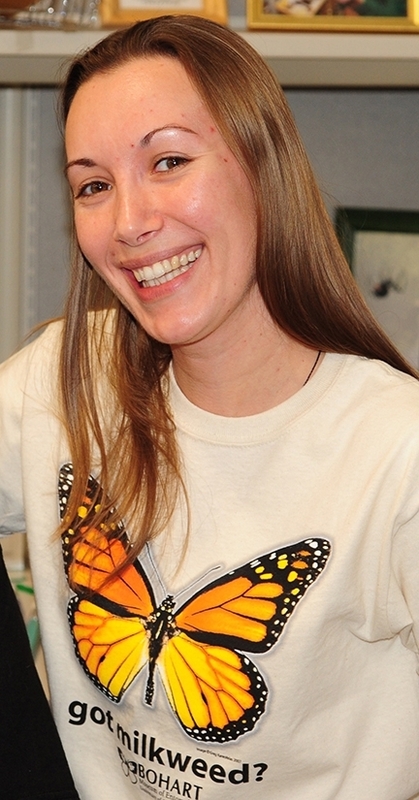 She received the 2017 John Spedan Lewis Medal for contributions to insect conservation. When pollination ecologists from the Neal Williams lab at the University of California Davis--Ola Lundin, Kimiora Ward and Professor Williams--recently published their research in the Journal of Applied Ecology on "Identifying Native Plants for Coordinated Habitat Management of Arthropod Pollinators, Herbivores and Natural Enemies," they mentioned that their study involved 43 plant species. 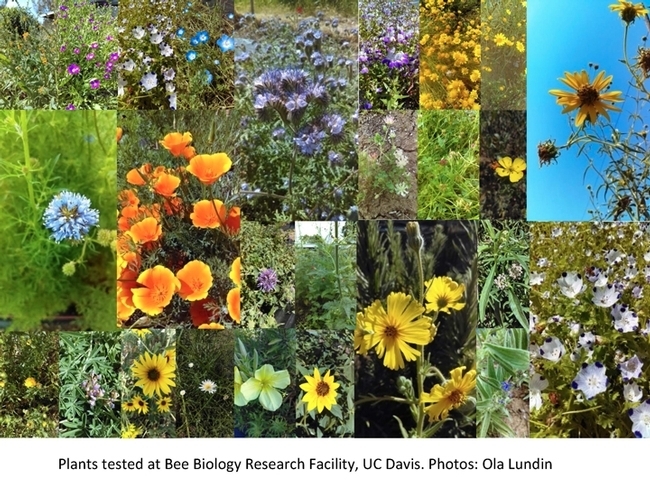 These are the plants they established in a garden on the grounds of the Harry H. Laidlaw Jr. Honey Bee Research Facility at UC Davis. How did they select the plants? 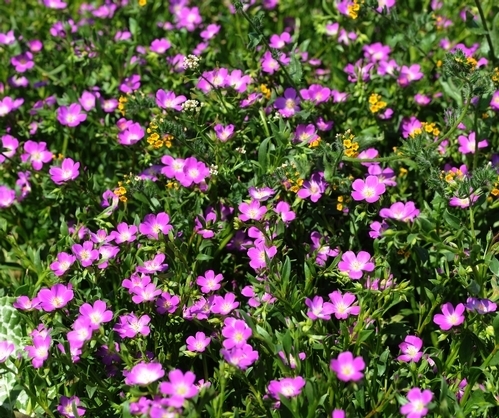 "Selected species were forbs that were drought-tolerant, native to California (one exception), and as a group, covered a range of flowering periods throughout the season," they wrote. The one exception: Fagopyrum esculentum, or "domestic buckwheat." Although it's a non-native, it was introduced elsewhere but naturalized in the wild. being listed as associated with bees in Calflora (2017) or based on earlier collected data on bee attractiveness (Williams et al., 2015). A further criterion that restricted selection was that "plant material needed for propagation be commercially available either as seeds or plug plants." The exception: Antirrhinum cornutum, commonly known as spurred snapdragon, for which seed was hand-collected. They excluded plants that are major weeds of crops or pastures. They did note, however, that Amsinckia intermedia (Eastwood's fiddleneck) and Calandrinia menziesii (red maids) can be desirable components of wildlands, but become minor weeds in certain situations (UC IPM, 2018). And now for the 43 plants, as listed in their chart. We alphabetized them and linked them to the Calflora.org site so you can see images of the plants and the common names. Calflora is a self-described nonprofit organization "where you can learn about plants that grow wild in California (both native plants and weeds)." 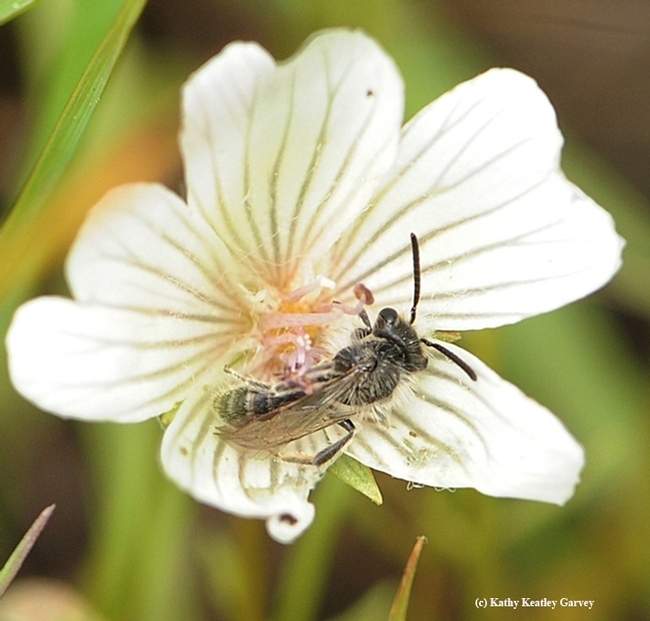 When you're thinking of what native California plants to establish in your pollinator garden, this is a great list, thanks to the Williams lab and their collaborators. 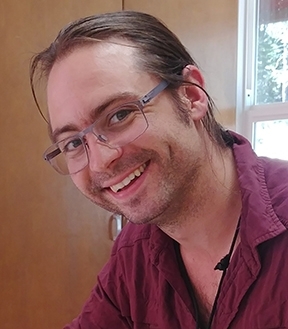 And, if you want to learn more about their research, contact lead author Ola Lundin, a former postdoctoral fellow in the Williams lab and now a postdoctoral fellow in the Department of Ecology, Swedish University of Agricultural Sciences, Uppsala. He can be reached at Ola.Lundin@slu.se. The Bug Doctor Is In! Ask Me a Question!